The season started out so innocently but has already gone south for both the Arizona Cardinals and Indianapolis Colts. Both teams are 0-1, with the Cards blowing a late lead to the Lions and the Colts getting embarrassed by the Rams. David Johnson is out for Arizona, and Indianapolis is still missing Andrew Luck. Both teams are playing for their season without their star player in what could be an ugly game. Let’s take a look at what players may still be salvageable for Week 2 fantasy football. The Colts were bottom ten in points allowed to QBs last year and just made Jared Goff look like a competent NFL quarterback. The Cardinals should be passing plenty with David Johnson out, so Palmer looks like a good spot start. Williams is the presumed starter with Johnson out, but don’t expect even remotely similar production. The Colts allowed the sixth most points to RBs so Kerwyn might be worth a gamble if you’re already desperate. Ellington out-snapped Williams 20 to 9 in Week 1 and is likely to get more receiving work, and the Colts allowed more receiving TDs to RBs last year than any team. He may be a better dart throw than Williams. Fitzgerald got 13 targets last week and should see more work than ever with Johnson out, but the Colts have been pretty solid against slot receivers. He’s a WR2. 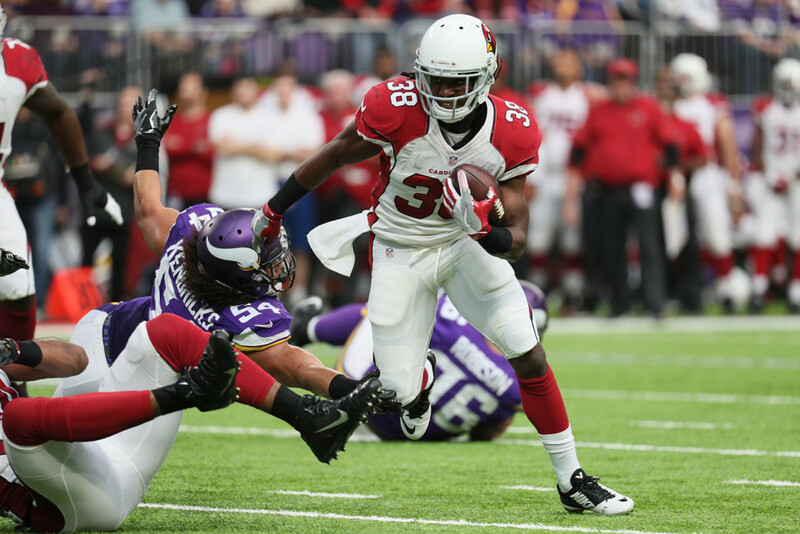 John Brown will miss Week 2 with a quad injury, so Nelson should be the second target in Arizona in a pass-heavy attack. He's worth a pick-up and could be a spot start in deeper leagues. Go ahead and start every defense against the Colts until proven otherwise. The Cardinals D already scored a TD Week 1, and the Rams had two against the Colts. If you are seriously considering starting one of these two quarterbacks, your fantasy team is even worse off than the Colts. Gore got all the early work last week before giving way to the young Colts backs once the game got quickly out of hand. Arizona is tough on RBs but Gore should be a low-end RB2 like usual. You may be tempted to bench Hilton as bad as the Colts looked, but Arizona struggled all last season with speedy receivers that could beat them deep. This was your second or third pick, and just the possibility of a 60-yard TD probably still makes him at least a WR3 and worth a start. Doyle was my favorite sleeper tight end this season and should still be solid long term, but Arizona was the toughest team in the league against TEs last season and the Colts are one giant strugglebus right now. You can find a better option.